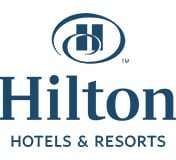 Hilton Worldwide Holdings Inc. (Hilton) is a McLean, VA-based lodging company that owns, manages, and franchises more than 5,200 hotels with 856,115 rooms worldwide. An estimated 73.2% of the company’s rooms are based in the U.S. Hilton owns 13 hotel brands, from luxury hotels to budget chains. The majority of its brands operate under franchise agreements with independent operators and companies. It is estimated that Hilton’s total U.S. system-wide sales have grown at an annualized rate of 8.3% over the past five years reaching $27.8 billion. The initial investment for establishing a new Hilton hotel with 300 rooms ranges from $29,162,700 to $111,936,150. There are numerous initial expenses a franchisee incurs such as the franchise application fee, signage, equipment, and insurance. Operating a Hilton hotel includes numerous operating expenses such as a monthly royalty fee (5% of gross rooms revenue and 3% of gross food and beverage revenue), a monthly spa royalty fee (2% of gross spa revenue), and a monthly program fee (4% of gross rooms revenue). Joorney Business Plan writers have extensive experience in developing long-term financial projections for Hilton hotels and understand the specifics pertaining to the initial investment requirements. Hilton offers training courses to franchisees for orientation and as part of the certification process. There are nine training programs as well as the annual brand or regional conference. Some of the programs are online self-paced programs that trainees can access at any time. The franchisor and its affiliates offer many additional optional learning programs and may develop additional learning programs at any time. Joorney Business Plans develops comprehensive and detailed personnel plans that link the proposed employees’ skills and training to their designated roles. The franchisee’s business is included in the international, national, and regional marketing and advertising programs. Most advertising is placed on the internet, as well as in national coverage traditional media (such as TV, radio, newspaper, magazine, and direct email). The source of advertising is the in-house marketing department and national advertising agencies. All franchisees must advertise and promote the hotel on a local and regional basis in a first-class, dignified manner at their cost and expense. All advertising and promotional materials must be approved by the franchisor. Joorney Business Plan writers help clients write detailed marketing and advertising strategies in line with the franchise agreement. Hilton grants franchisees a non-exclusive license to operate a hotel at a specified location. However, the franchisor does not grant a protected area or territory. Franchisees could face competition from other franchisees, from hotels the franchisor’s affiliates own, or from other channels of distribution or competitive brands that the franchisor controls. In some cases, the franchisor may give franchisees certain specific territorial restrictions for an area surrounding the franchised hotel and encompassing the immediate competitive market for the hotel. Joorney Business Plans develops extensive local market analyses helping clients fully understand their competitive position at a given location. By becoming a Hilton franchisee, you will become a part of one of the most recognizable names in hospitality and lodging. For almost a hundred years, Hilton has been dedicated to continuing its tradition of providing exceptional guest experiences. The company stands as the stylish, forward-thinking, global leader in the hospitality industry.